Do you know someone who would be interested in HSA for next year? If so, see below! 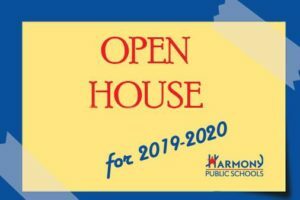 Information will be presented about Harmony Science Academy itself, the Harmony Public Schools system, curriculum, discipline, extra-curricular activities, enrollment, acceptance, the lottery, admissions, and any other questions you may have, as well as, give tours of the school. If you have already applied and/or are interested in our campus, please join us on one of these days! https://harmonypublicschools.network/hsalubbock-new/wp-content/uploads/sites/124/2017/10/HSA-Lubbock-white-letters-300px.png 0 0 ssouthard https://harmonypublicschools.network/hsalubbock-new/wp-content/uploads/sites/124/2017/10/HSA-Lubbock-white-letters-300px.png ssouthard2019-01-14 17:20:042019-01-14 17:20:15Do you know someone who would be interested in HSA for next year? If so, see below! Current HSA Students’ Re-enrollment Period- Now to Friday, January 25... Reenroll now!